Happy Tuesday! I hope you had a wonderful weekend celebrating Independence Day! This past weekend I celebrated the 4th of July in Cambridge at Georgetown Vineyards! 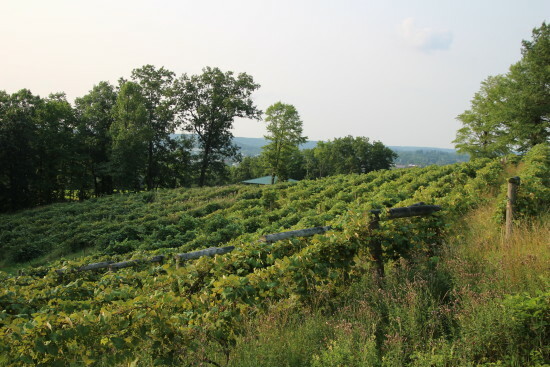 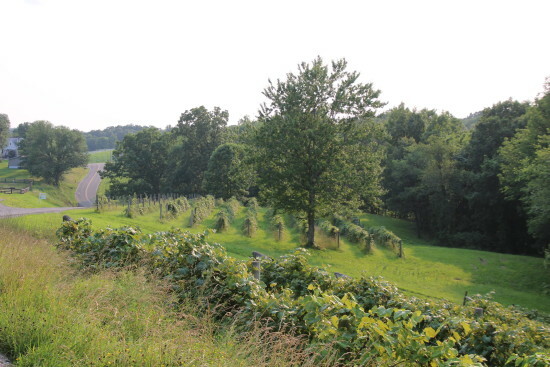 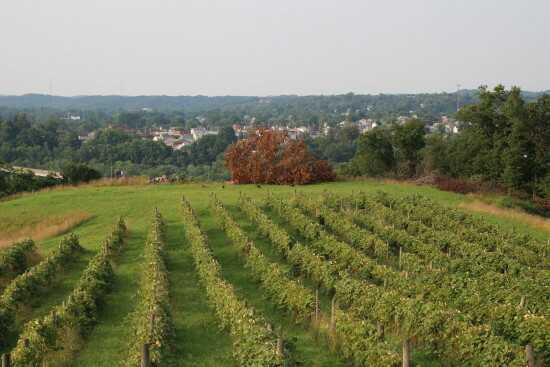 Georgetown Vineyards is located near Cambridge in Guernsey County. Nestled among the foothills of the Appalachian Mountains and perched upon a scenic ridge, Georgetown Vineyards provides delightful views of the rolling hills and the city of Cambridge. 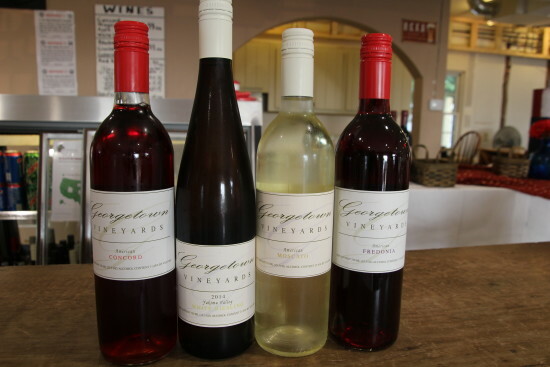 With five acres of vineyards settled in the surrounding hills, Georgetown Vineyards produces over a dozen wines from estate-grown and California grown grapes. 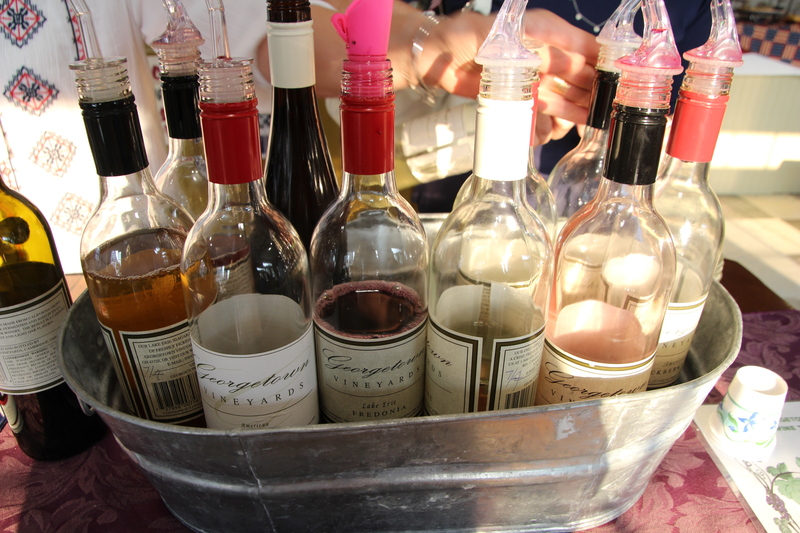 From dry to sweet wines, fruity wines, and blush, red, and white wines, any wine lover will surely find a wine to satisfy their palate. 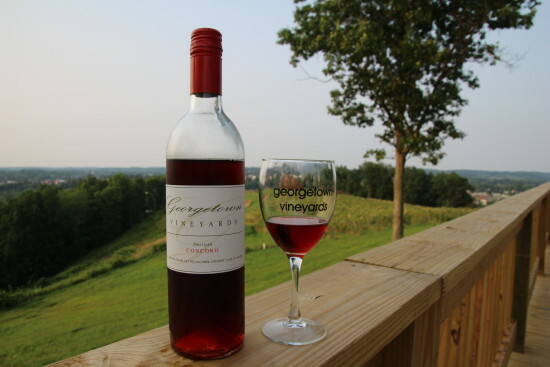 Not only does Georgetown Vineyards produce delicious Ohio wines, the picture-perfect setting captivates visitors! 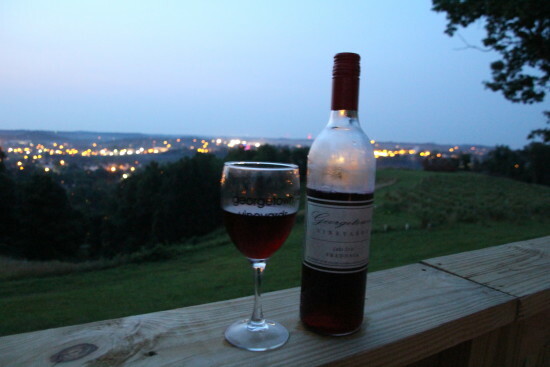 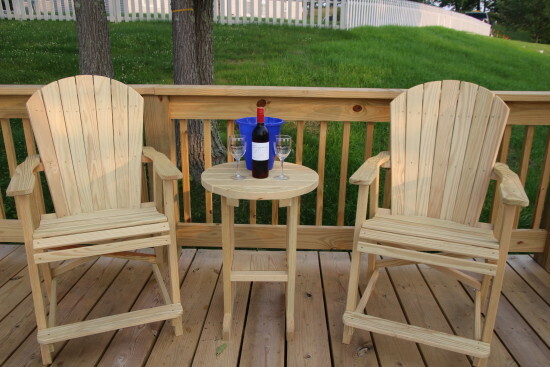 With a newly built deck that sits upon the hill, wine lovers can enjoy a spectacular view while sipping on a delicious Ohio wine. After visiting numerous (over 30!) 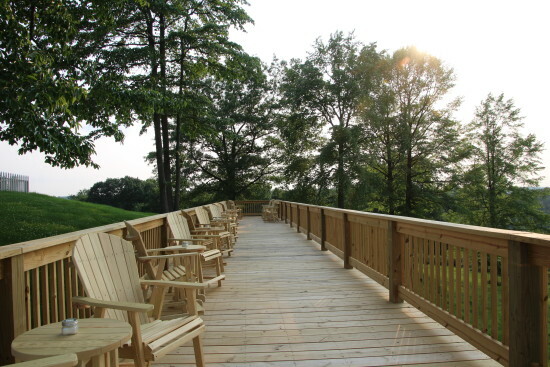 Ohio wineries, I would have to say that the new deck at Georgetown Vineyards is one of the best in Ohio! Georgetown Vineyards partnered with A Taste of Ohio/Ohio-Made Getaways to present Red, White, and Wine. 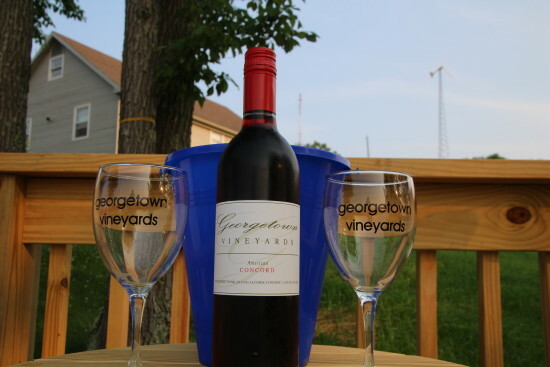 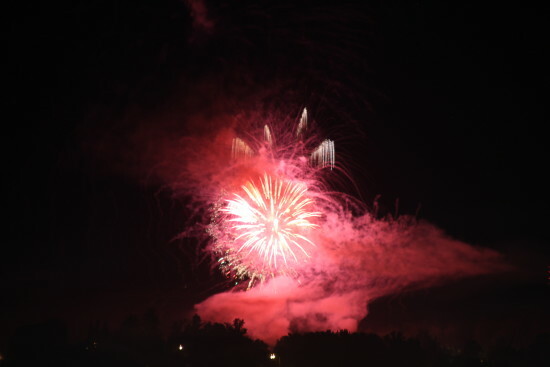 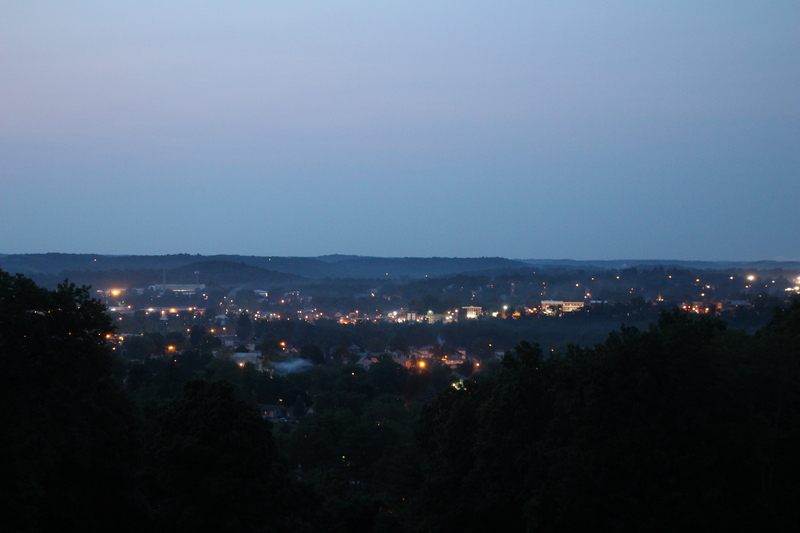 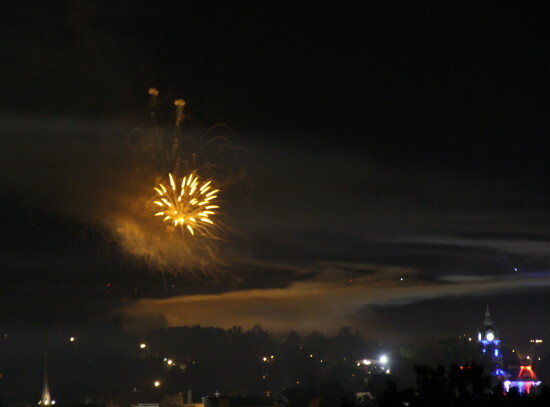 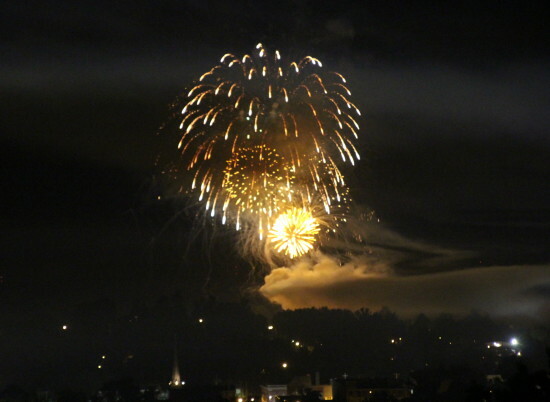 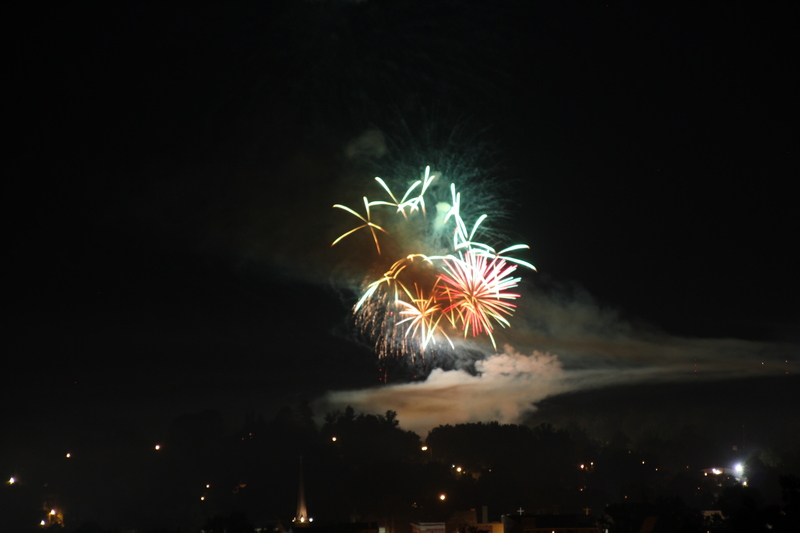 The event included a wine tasting, a bottle of your favorite Georgetown Vineyards wine, hors d’oeuvres, and spectacular views of Cambridge’s Boomerama fireworks display! 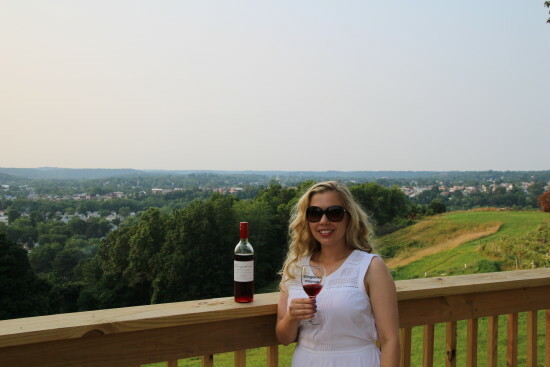 Red, White, and Wine was a wonderful way to celebrate Independence Day, while drinking delicious Ohio wines and enjoying spectacular views of Ohio’s rolling hills. It was the perfect place to reflect upon the independence of this great nation while drinking an Ohio wine! 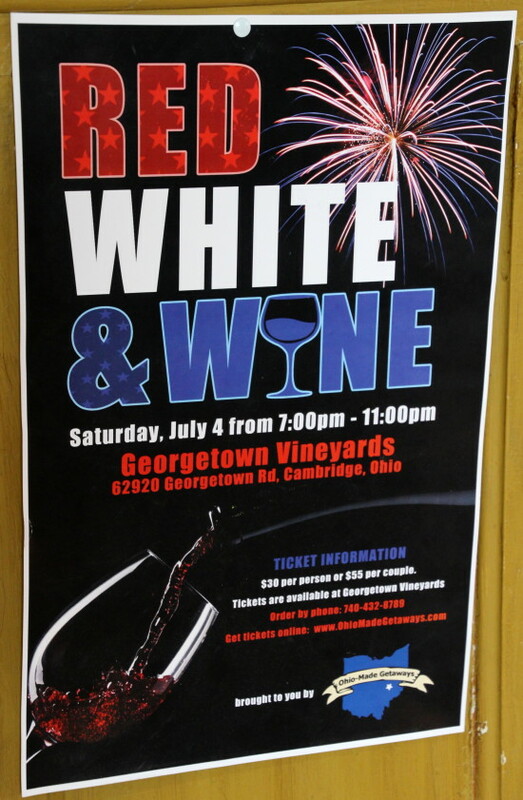 Doesn’t the City of Cambridge’s Courthouse look amazing in red, white, and blue?! 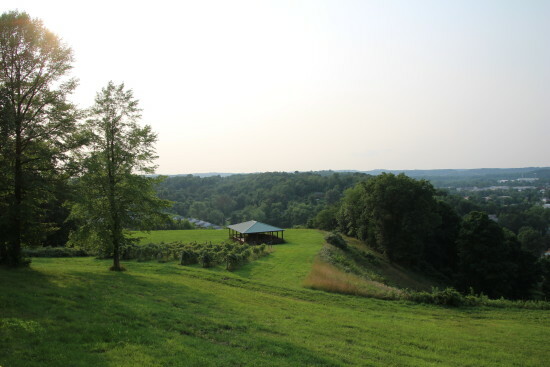 Looking for a weekend escape in the foothills of the Appalachians? 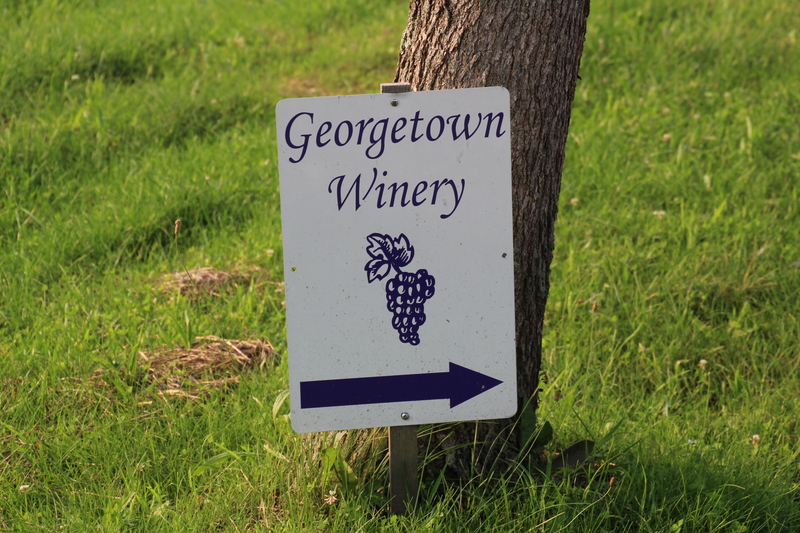 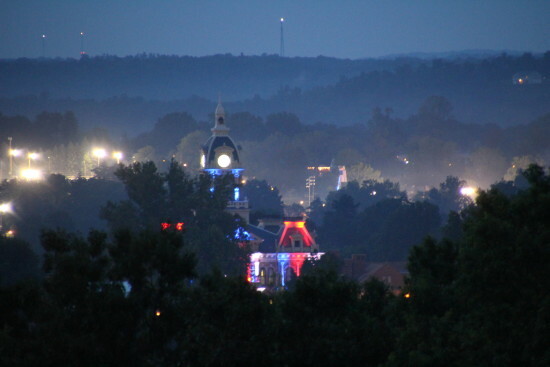 Visit Historic Downtown Cambridge and Georgetown Vineyards for a wonderful weekend getaway! 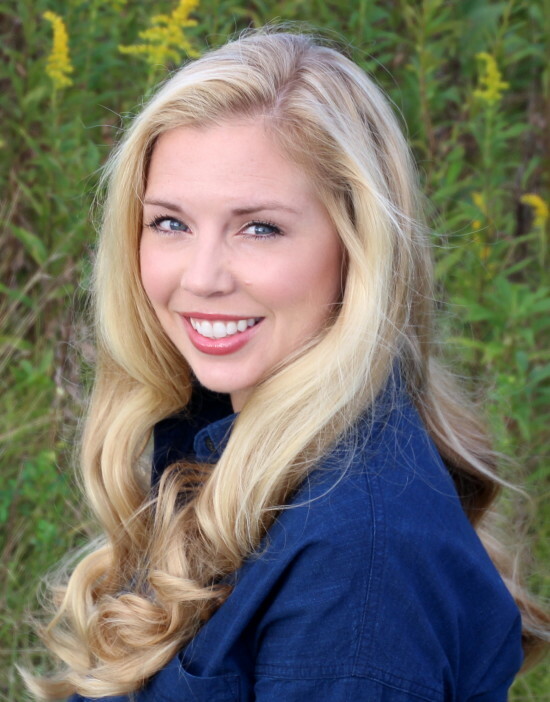 A special thanks to A Taste of Ohio/Ohio-Made Getaways for having me as your guest at Red, White, and Wine! 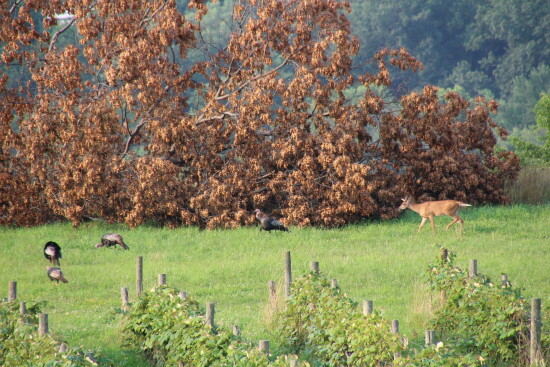 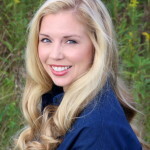 Jonett shared your blog with our staff…..really nice, and the pictures are great! 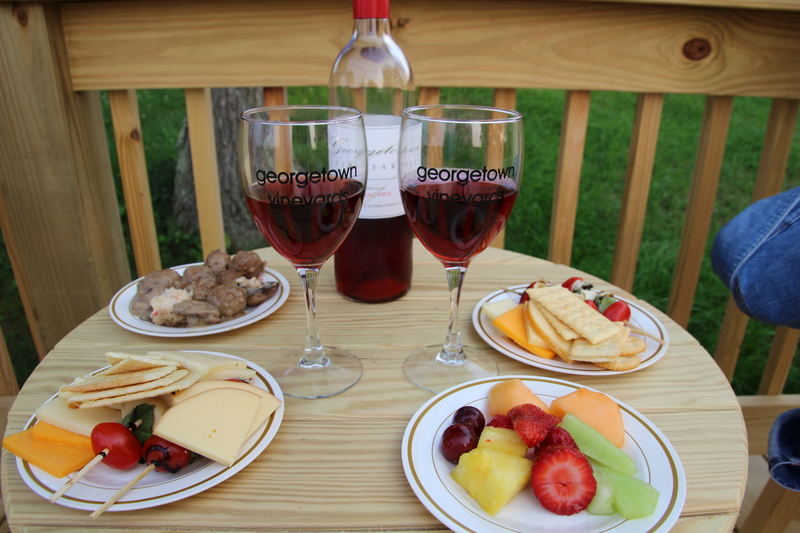 I enjoyed meeting you at Guernsey Kitchen on Sunday. Sounds like you enjoyed your afternoon in Cambridge as well. 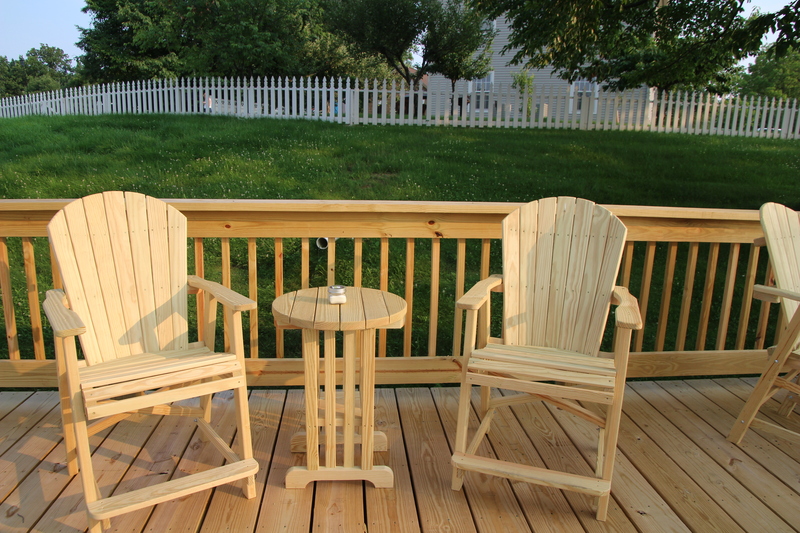 Take care, and please let us know if we can ever assist you with another blog.